Are you wondering; How much Can I Borrow for a Mortgage? If so, then before going through the whole process of going to a Loan Officer, having your credit pulled and having to wait forever to find out how much you can borrow try using these 3 Steps. The first thing we need to do is come up with a Total of your Monthly Obligations. But, you only need to add up things that show up on your Credit Report such as Bank Loans (student, auto, business or personal), Credit Cards (but we only need to use the Minimum Payment for the Monthly Expense) and any other “Revolving” debts you may be paying monthly. Now you will “not” include payments such as insurance payments (even for House Insurance), mobile phones, utilities (cable, gas, electric, etc.) or anything else that can be cancelled without future obligation. Quick Note: If you are “Refinancing” then you will not include your “current” mortgage payment because it will be included with the refinance that you are applying for now! Overtime- income generated by working overtime can only be applied to your monthly income if and only if, you have worked overtime on a regular basis for a minimum of 6 months and with some lenders 2 years. There are exceptions in instances where the overtime is mandatory, like police, nurses, bus drivers, construction workers etc. Rental Income- to use “Rental Income” when calculating your Monthly Income, then you must have a “Lease” which is signed to show that you will be receiving rent for a “guaranteed” amount of time. If you do not have a lease then you can show a licensed real estate agents rental statement or “bank statements” clearly showing monthly deposits every month. The “DTI” is what the banks use to see if you qualify for a Mortgage/Loan. It is the percentage that your total monthly expenses will be of your Total Monthly Income. E.G. A family with $4,000/month in expenses and $10,000 in Monthly Income would have a DTI of .40 (which is a 40% DTI). Depending on the “Loan Program” you are applying for, the DTI will differ from program to program. But a Safe Bet would be a 38% DTI. Now this, in the past few years, was as high as 50 or even 60 (which is one of the reasons for the recent “economic crisis”). However, if you are a First Time Home Buyer with a good deposit and you apply for a Mortgage then I have seen DTI’s as high as 48% getting approved a great deal of the time if the Credit and other factors are good overall. That’s it, now there is no need to wonder… “How Much Can I Borrow”? Because now you are equipped with the knowledge and understanding to find out how much you can borrow for yourself. If you want to take the guesswork completely out of the equation check in with a professional mortgage broker who has great software tools that cover most lenders borrow capacities. 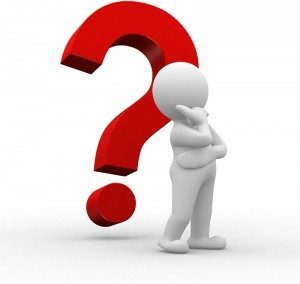 How Can You Know What Your Borrowing Capacity is? Are you thinking about taking out a mortgage or refinancing your current mortgage? Are you curious to know the answer to, mortgage how much can I borrow? There are a few factors that go into figuring how much you will be able to take out and here is the breakdown of what you are looking for. Are You Looking to Refinance for Cash Out? Have You Checked Your Credit Rating Lately? The second factor is your credit rating. This will determine which category you fall under and if you have a low credit score you will not be able to borrow as much as if you have a high credit score. It works on a percentage system and the better your credit the closer to 100% of your home’s value you will be. The last factor that mortgage companies consider is your debt to income ratio. This is the amount of gross income you make compared to your monthly payments for your mortgage, cars, credit cards, and other things that show up on your credit report. This will not include utility payments. The maximum debt to income ratio for most companies is 55% and the lower your debt to income ratio the more you will be able to borrow. It is a pretty simple formula that weighs the risk of lending you money against the rewards. The worse your credit and debt to income ratio is, the less they will be willing to lend to you and the higher your rate could be. If you’re trying to maximise your borrowing capacity and get the best deal at the same time, check with a professional mortgage broker. Their services are free and they have software tools that take all of the hard work out of the process. 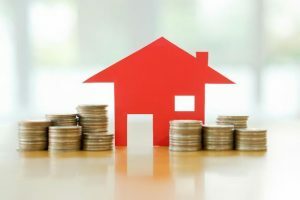 It’s important to know how much you can borrow in order to help determine what type of abode you should be looking for. By knowing what your borrowing power is in advance it can determine where you live or what you should be living in. 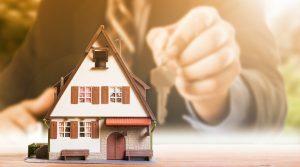 If you wanted a house in a certain area, but don’t have the borrowing capacity for one, you might have to settle for a townhouse, or an apartment might be a less expensive compromise. An important first step is to get a loan preapproval so you know what your borrowing capacity is going to be prior to committing to a property purchase. Otherwise it could mean losing any deposit already paid if you can’t get the loan amount required to make that purchase. What is Your Debt Profile Like? If you’re looking to maximise your borrowing capacity you should try and to reduce as much existing debt as possible (such as car repayments, credit card limits and any other personal loans) as this will increase your borrowing capacity for a home loan. Another benefit to reducing existing debt will also help make it easier for you to make your new mortgage repayments on time as there will be fewer demands on your cash flow. Keep in mind when you buy a property there will be added expenses that you didn’t have when you were a renter. These could include insurances, council rates, water rates and maintenance costs. As different lenders have different borrowing capacity ratios, it’s a good idea seek out a mortgage broker. Mortgage brokers have access to many lenders to find out what your maximum borrowing capacity will be. The amount of gross taxable income you earn is the major key to how much you can borrow. Your chosen lender is going to look at how much you earn and also the type and regularity of the income. Overtime, bonus and rental/investment income is only assessed at 80% of its full value. What Type of Borrower Profile do You Have? To measure what you can afford to pay, home loan lenders consider the kind of work you do (PAYE, casual, self employed etc.) and the number of people linked to your application, including dependents. The amount you want to borrow can change according to the loan purpose. In today’s market property investors can often times borrow less than a owner occupier purchaser with the same financial profile – because a lot of mortgage lenders are charging higher rates for investment property loans and reducing the loan to value ratio on the loans they will provide. Some lenders can limit the amount they will lend or decline to lend at all in certain areas and with certain property types. It’s smart to contact your lender beforehand if you’re planning to purchase in locations like the inner city or any outlying regional areas. Also, any properties that are ‘non-standard’ in size like small apartments or studio apartments. The loan term period and the interest percentage rate can affect how much you can borrow – the higher the interest rate or the shorter the loan period, the higher your repayments. These day’s lenders use a “factored” rate or padded rate when calculating your borrowing capacity. This is the rate you will actually pay and then they add a margin to ensure you can afford to make the repayments in the event that interest rates rise into the future. This is usually a key factor in determining your borrowing power as it is linked to the loan-to-valuation ratio (LVR). The higher the percentage of your loan is to the value of the property you are buying the higher the risk is to the lender. Therefore, the lender will seek to reduce their risk by reducing the amount you can borrow. The first step is to take all of the hard work out of the exercise and seek out a professional mortgage broker. There services are free and they will save you a lot of time and money.